Mortgage rates are expected to stay around 4 percent in 2018, according to an article on Forbes.com. Historically, movements in the short-term interest rate have corresponded with movements in mortgage rates. The correlation between these two has been put into question as the Fed raised interest rates 3 times in 2017 with little impact on mortgage rates. Experts believe we will end the year around 4.5 percent. Housing experts continue to look at millennials and how they are responding to the housing market. The demand from this demographic is expected to continue to increase as many are now getting married and having children. 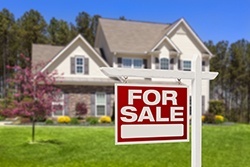 Even those still single are more likely than previous generations to buy a home, according to the article. Experts believe the lack of inventory we have been experiencing will continue to impact the housing market into 2018. They do expect this to improve moderately since the current situation is unsustainable. They also expect price growth to continue, but at a slower rate than what we saw in 2017. Housing has experienced 23 consecutive months of increases driven by low interest rates, low unemployment, and continued economic growth. We should see these factors start to shift in 2018.